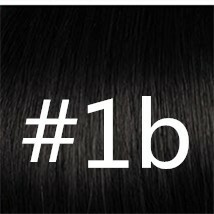 The wig you are interested is full lace human hair wigs 18" #1B Off Black Silky Straight.Hair was soft and smooth, It is easy to run your hands through. 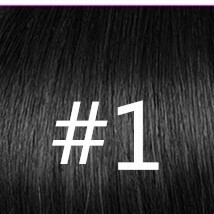 It is virtually undetectable and imitate most successfully the natural movement of real hair. 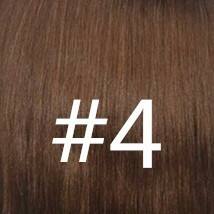 This is a gorgeous silky straight textured Full lace Human Hair Wig made of the highest quality Indian Remy hair. The texture is sleek and straight, it moves and flows freely. The hair dries straight and for added versatility you can roller set the hair, when wet, for a curly or wavy look. 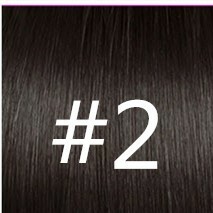 Silky straight textured hair is very versatile and can be worn in a variety of styles. The cap design of this unit allows for it to worn in a variety of styles. It can be parted anywhere and can be worn in a high ponytail. This hair is the best!! I will definitely be a regular customer. This hair is the best!! I will definitely be a regular customer. The best hair I have ever received. Great quality wig! Beautiful soft hair...all I had to do was bleach the knots and pluck it and it was good to go. Am so happy with my purchase. Bill called me after I received the package. very good customer's service. ladies! you wouldn't regret if you buy the wig. Will buy more from this seller. I AM IN LOVE WITH THIS HAIR !!! I AM IN LOVE WITH THIS HAIR !!! It's silly to touch also every easy to handle ..... light weight to the hair Which I love because Iam very active person ... the colours very natural and the lace ...WHAT LACE !!!! Favorite wig!!! It does shed quiiiiite a bit, especially when washing, but i love this wig so much that I can easily ignore it lol. This Hair Is The Best. I Had It Installed For a half and month Now & And it's still looking great. This hair is so soft, so silky, so everything. I love it. love itttttt, good quality hair lace sturdy, very realistic. I can see myself get this again. My first wig purchase off of juicy lace wig .I'm excited this wig is beautifully constructed pre-plucked and laid out of the package. 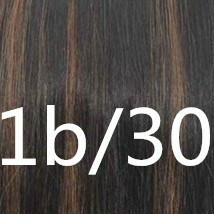 silky soft hair nice density . Takes to heat well so far . Very good quality! this is the best hair from Juicy hair. I recommend! I will order only from this seller! wow! i am so happy with my order... great service, good communication, great quality, speedy delivery.... happy for days! thank you Bill... great doing business with you. Lovely hair, arrived on time as well. Seller was very efficient. Beautiful hair and quality. 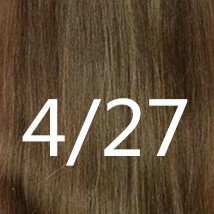 With no shedding. Just amazing. And shipping was fast and well prepared. perfect, bleached it and love how it fits and it's thick and full! I actually love this full lace.Absolutely Amazing WIG! I must say I absolutely loveeeeeee my wig! I will definitely be ordering from you guys again! There was no smell and little to no shedding. And fast shipping! And seller's communication is great as well.Absolutely Amazing WIG! FAST SHIP! LOVE THE WIG! I don't know much about wigs but this seems to suit me well. Soft, fits well, and looks natural. I love everything about this WIG. Its so soft no smell no shedding. I straightened it today and it is gorgeous. This wig was so amazing!! Everyone loved it! Perfect. Its full and pretty just like I hope it would be.. Its a must I purchase more wigs from here. This is the third wig I've bought from Juicy Hair. they have all been great quality and Very recommended. definitely recommend and order again in the future. Absolutely gorgeous. Worth every single penny. Soo soft and natural. I am shocked. Would definitely recommend and order again in the future. Loved my wig! not shine, so soft. recommended. And I loved how fast it arrived home! I will buy more wig from this store! WONDERFUL WIG! I LOVE IT! Absolutely wonderful wig. I washed it as soon as i took it out the package and wore it on vacation. THANK YOU! Excellent Service, Best Seller ..... I love the hair can't wait to install for my birthday! t's amazing soft and health; I know a good hair when I see it. Thank you. Will surely order more when I needed. i love this wig the cap fits very well the hair is beautiful and true to length and so soft. it smelled like they washed and conditioned it before it was shipped how great is that. they shipped my wig 2 days after payment cleared .. The quality is very good for the price. the wig had a nice smell to it and it's a very good quality of natural hair. It feels so soft and the appearance is so natural looking. I went with the 20", it looks just like the picture that is posted, I was very happy, it did not disappoint me at all, I will order again. By far the best wig I have ever purchased, the hair quality is great I have colored the wig and the color took well. There was no shedding or anything after I colored it. This wig matches my hair texture perfectly. Ordered Tuesday and received on Friday! Hair is a bit browner then I thought but it's still looks great and I'll make it work. Full lace human hair wig was beautiful!